Some things just feel right. Mr. T getting a show called I Pity The Tool is one of those things. That show being on the DIY network? That's another one of those things. Has there ever been a show more perfectly designed to cater to both your great aunt and you when you're hungover? No, there has not. This is a gift to us all. So what exactly is this show? It's pretty much just like most home improvement shows, but with Mr. T. No, really. According to The Wrap, Mr. T will lead a home remodel for a different family every episode, bringing along HGTV Design Star winner Tiffany Brooks. He'll also have a "construction team of tough guys," because what else would he have? Before I worked in show business, I worked in the demolition business. And even after I made it in Hollywood, I kept on building things. We’re hooking up homeowners who need help with their renovations. I’m tired of all this jibber jabber — we’re out here getting things done, working hard, demolishing the old and rebuilding the new. I Pity the Tool — which takes its name from Mr. T's famed "I pity the fool" expression — joins a roster of celebrity-focused renovation series on DIY includingThe Vanilla Ice Project, Daryl’s Restoration Over-Hall (Daryl Hall), The Shatner Project (William Shatner) and Rev Run’s Renovation (Run DMC's Rev Run). I Pity The Stool, in which Mr. T amps up chairs, couches, and other seating. Alternatively, Mr. T explores the sewage systems of America. I Pity The Ghoul, in which Mr. T fights ghosts and other mystical beings. I Pity The Mule, in which Mr. T travels the world interacting with animal hybrids. 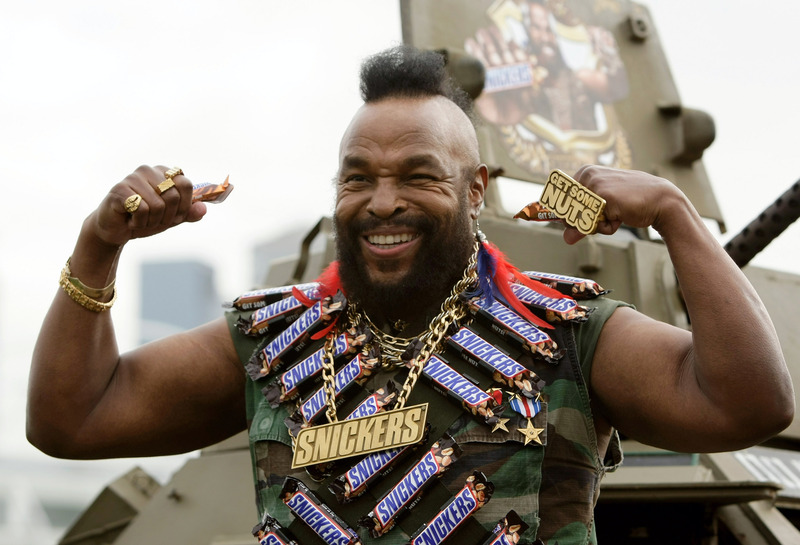 You heard Mr. T — he's tired of the jibber-jabber. Cut that jibber-jabber out. And call Mr. T to fix your house.